The device is manufactured in accordance with Technical Requirements 427675-005-42376246-2004. 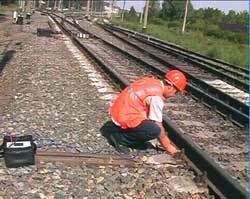 It was designed for detection of electrocorrosion hazard of ferroconcrete reinforcement of contact-line supports of railroads with direct and alternating current. The device can also be used for checking and adjustment of protection devices. 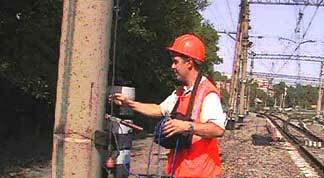 In combination with the device "Poisk" used for detection of low-resistance contact-line supports in a group "PK-2" device enables to perform the whole complex of operations for estimation of electrocorrosion hazard of contact-line supports provided by "The instructions in technical maintenance and repair of contact-line supports K 146-2002"
Various modifications of the device have been supplied to power economy establishments of public corporation "Russian Railroad" since 1996.